Charles C. Brennan of Las Vegas-based Dollar Loan Center is known for his community giving. 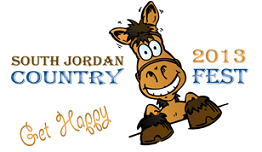 His company recently attended the South Jordan Country Fest 2013 in Utah. According to Charles C. Brennan, the Dollar Loan Center brought Las Vegas-style fun and games for the family to their booth at the annual Country Fest in South Jordan, Utah, in June 2013. The event is a citywide celebration that encourages a sense of community and offers locals the opportunity to get to know their neighbors. The Country Fest is also an excellent example of how important community issues can be highlighted through fun and entertainment. Charles C. Brennan reports that the Country Fest brought in car-seat safety experts and allowed children and adults the opportunity to visit the Aquatics Center free for the day to learn about the benefits of water sports and activities. The event also featured the Firefighter Challenge Course which educated South Jordan residents on the difficult tasks faced by firefighters every day. In addition to these informational events, Las Vegas entrepreneur Charles C. Brennan notes that the city also encouraged a healthy lifestyle through a citywide tennis tournament and a 5K run along with equestrian games and basketball. There was plenty of entertainment as well, recalls Charles C. Brennan. The three-day festival included an art show, bingo, a carnival, pony rides, and even a Friday night screening of Dr. Seuss’ The Lorax. City Park put on a skateboard competition and Mulligans Golf Course hosted the event’s very popular golf scramble. Headliner Neil McCoy, who is a popular showman in Las Vegas, played a concert on the last day of the festival, which concluded with a spectacular firework show. The festival, says Charles C. Brennan, also offered residents the chance to honor a local hero, Parade Grand Marshal Glade McKee. McKee is a World War II veteran and eight decade resident of South Jordan.